This week Mahana, an Austin startup working in the hospitality space, launched an iBeacon platform for airlines, hotels, and casinos. The platform aims to help hospitality providers provide concierge-like guest interaction using iBeacon. While we’ve prviously covered individual hotels implementing iBeacon solutions, Mahana is attempting to democratize access for the entire industry. Here are a few examples of potential use cases for their platform. You walk into a hotel and approach the front desk. 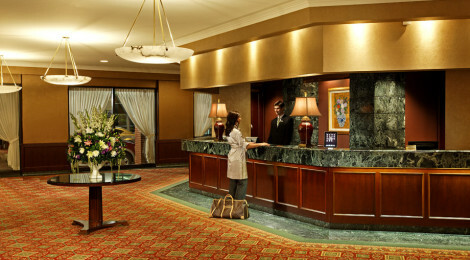 As you approach, the front desk staff receives your pertinent information to make the check-in process as smooth as possible (ID, name, room preferences, and other notes). They greet you by name, you feel like a VIP. As you’re seated in a Casino, the wait staff is alerted of your presence, accesses your profile, and can see that you prefer a certain type of cocktail. As you walk into a hotel’s high-end restaurant, the hostess is alerted to your presence. Server’s can access your dietary preferences and alert you to new specials based on past dishes you have ordered. In order for the technology to work, guests must first download the business’s participating app. Beacons placed at key customer-touch points (ie, the front desk, point-of-sale system, concierge desk) can detect customers who are nearby and provide staff information to provide better service. Mahana’s platform takes a three-pronged approach to iBeacon implementation. The platform can be used for tracking customers’ locations within a building, proximity-based display to give staff personalized information to help serve each guest, and point-of-sale tracking and analytics. The point-of-sale tracking system can be used by businesses to personalize loyalty programs to their most loyal customers while also helping to identify what a particular customer buys, and how much, over time. For example, the system could identify that a customer at a Casino spends a lot on a particular item. The casino could then offer the customer volume-based discounts or freebies to recognize the customer’s loyalty. Individualized programs like this are the future of business-to-consumer relationships, as technologies like iBeacon give businesses a more granular view of customer touch-points and provide new means for extending concierge-like service to everyday interaction. Mahana’s solution is a perfect example of how proximity-based technology can be used to improve human interaction. Great article! The iBeacon clearly has a large role to play in the future of the hospitality industry and when integrated with an in-destination mobile app would allow hotels to personalise guest experience and target market their services to fit their guests’ needs. It really is an exciting time for the industry.